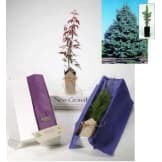 When you send someone a Colorado Spruce Tree, the experience begins when they receive the specially-designed package, and open it to reveal your personal message and a beautiful living tree. • With distinctive gray-blue needles, this tree is generally used as an accent plant in landscapes. 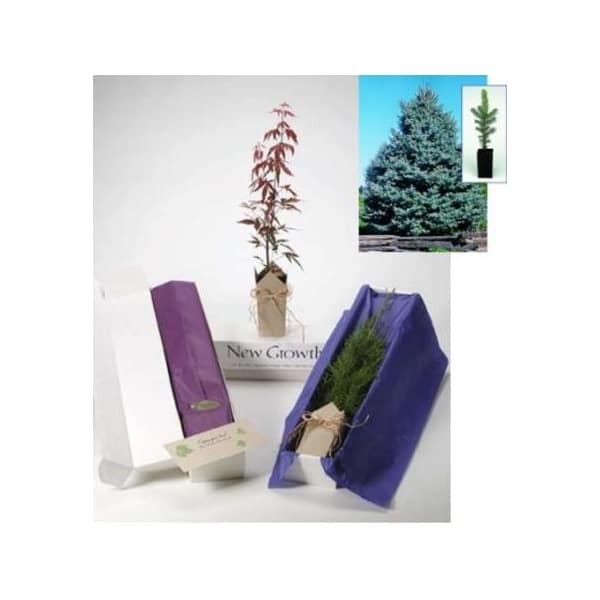 • Tree color can vary from dark green through all shades of blue green to powder-white blue.